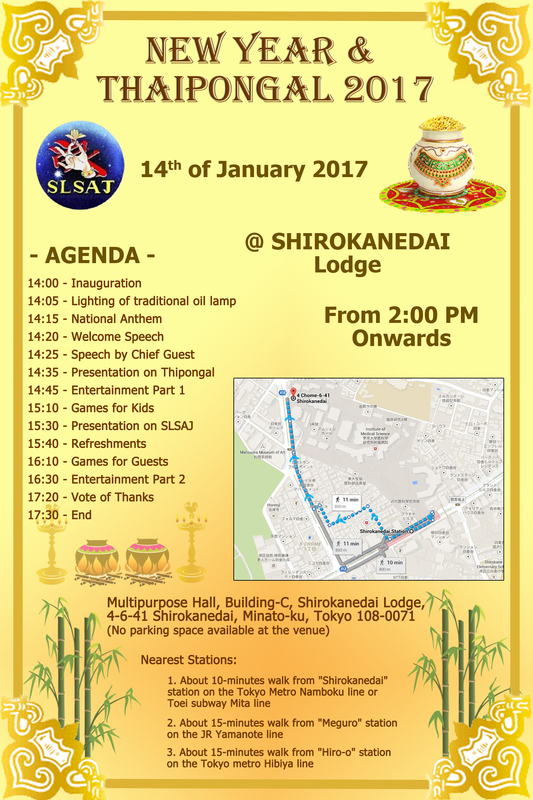 We warmly invite you for the “New Year and Thaipongal Celebrations – 2017” organized by Sri Lanka Students’ Association in Japan. 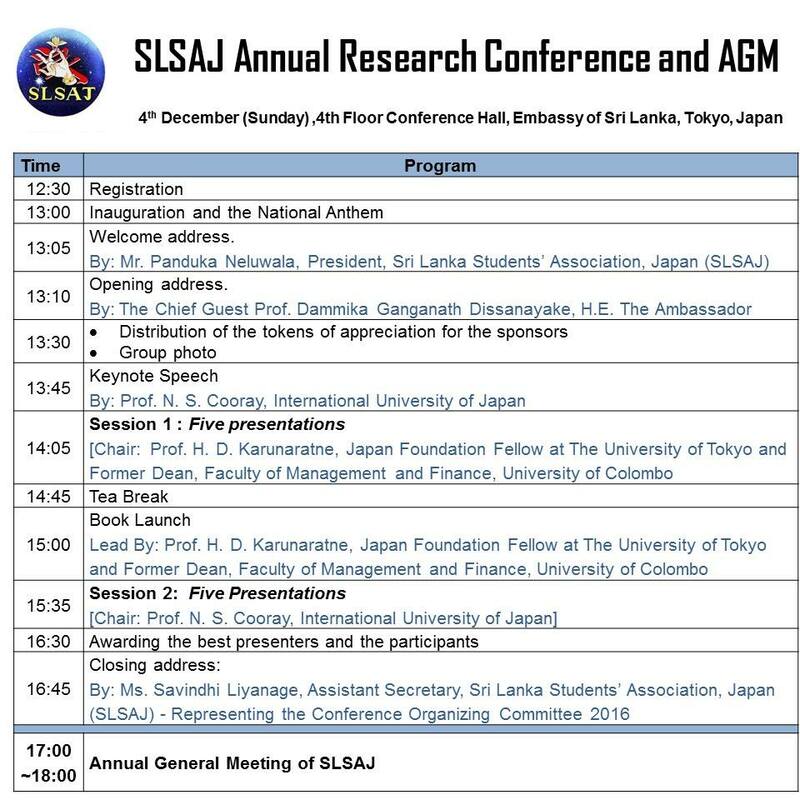 The event has been scheduled on 14th January 2017 (Saturday) from 2.00 pm onwards at 4-6-41 Shorokanedai, Minato-ku, Tokyo 108-0071 (The University of Tokyo International Lodge, Shirokanedai). Please refer to the link below to confirm your participation and to contribute for the New Year and Thaipongal Celebrations. 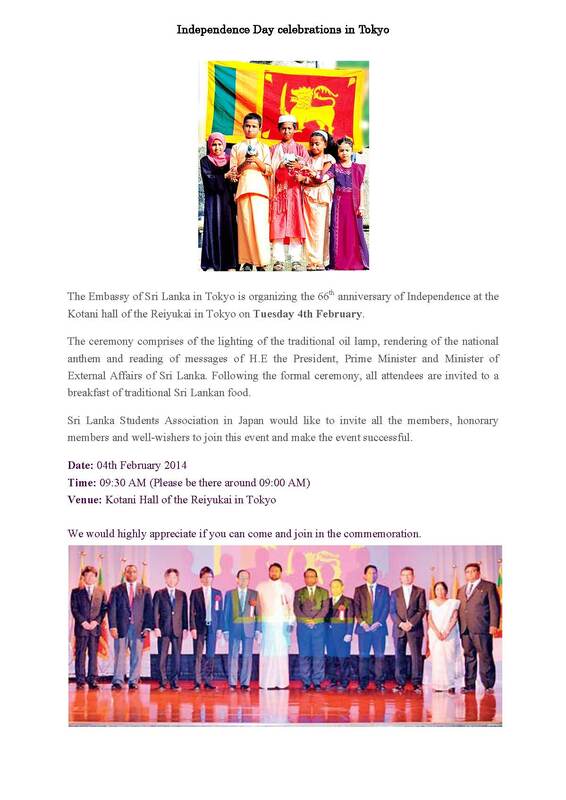 With great pleasure we would like to invite you for the New Year & Thaipongal celebrations (2015) organized by SLSAJ to share the happiness and joy of the New Year and to have an enjoyable time with Sri Lankans living in Japan. Date: 11th January 2015 (Sunday) @ 2.00 pm. 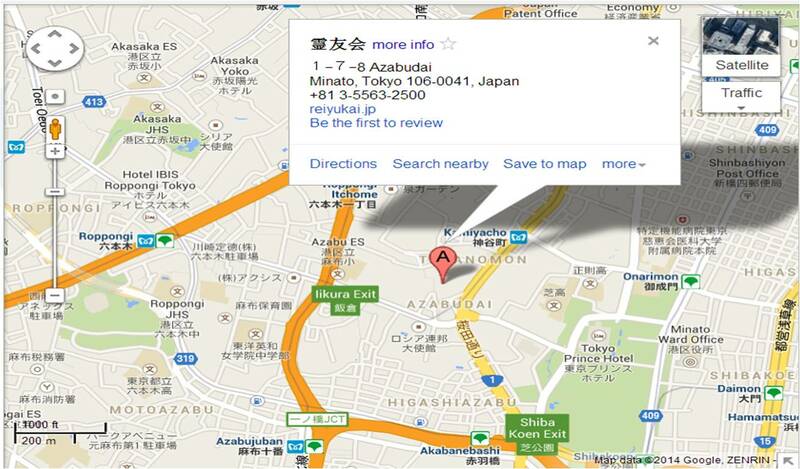 Details of the agenda and access map can be obtained from here.